Office 365 users—both end users and administrators— usually do not take back up of their Office 365 mailbox data. They believe that their data is secure in the cloud. But, it is a good practice to back up Office 365 emails and other items. Office 365 has an inbuilt method by which you can take back up to PST files. 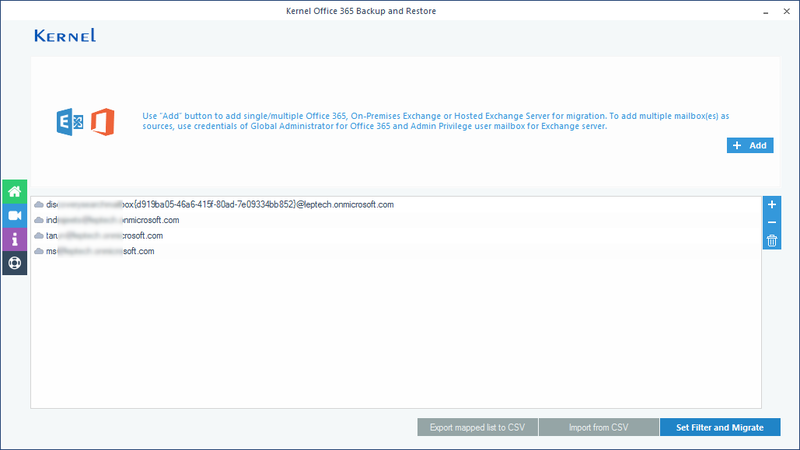 Also, there are a few Office 365 Backup tools that can export your mailboxes to PST files. Why do you need Office 365 Backups? Office 365 platform allows users to store data in the cloud. However, data on the cloud is universally accessible. So, it can be subject to unauthorized accesses and hacking. Also, improper closing of the account and accidental deletion of items can happen from the side of the users. In the case of data loss or deletion, there are no ways to retrieve Office 365 mailbox data. So, to deal with the account loss and data loss issues, you should backup of your Office 365 mailboxes. Office 365 mailbox data, when backed up as PST files, is easy to share too. Content Search eDiscovery tool is used to search and find data from the mailboxes/public folders of Exchange Online. Later, you can export this data to PST files for future use. 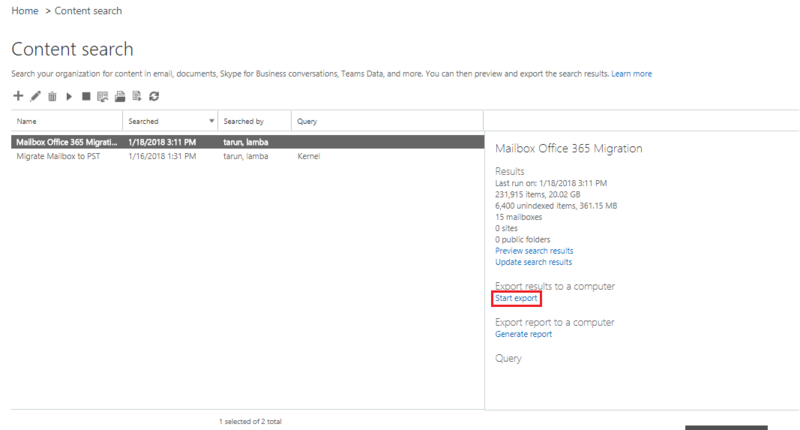 To export Office 365 mailboxes, you need to log in your Office 365 account and got to Exchange Admin Center. First, make sure that you are a member of the eDiscovery Manager role group. If you are not, add yourself. Now you need to create a new Content search. In the Content search, you can select the mailboxes which you want to export. You can also filter your mailboxes before exporting. Finally, you can export this search. Once the export process is completed, you can download the search results to your computer. 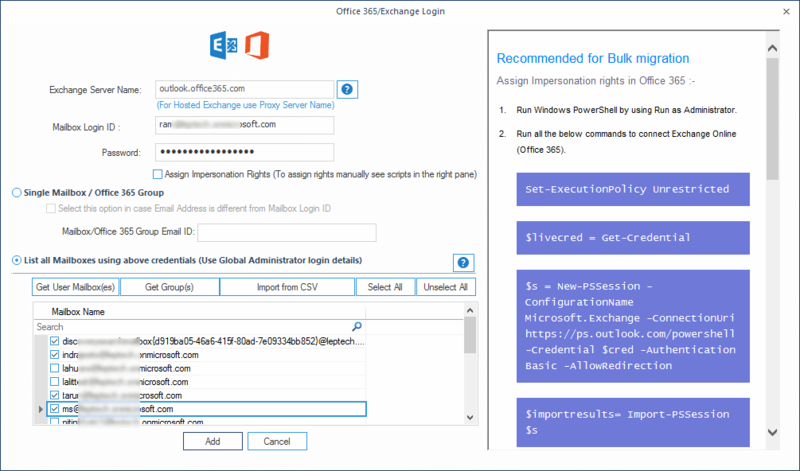 By providing the export key that you get while downloading the search results, you can save your Office 365 mailboxes as PST files to your system. 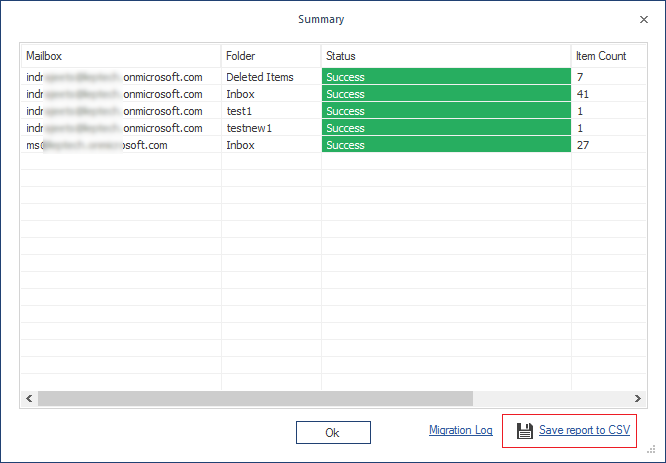 Once office 365 mailboxes are backed up as PST files, you can use those files to access your mailboxes again in case of data loss. 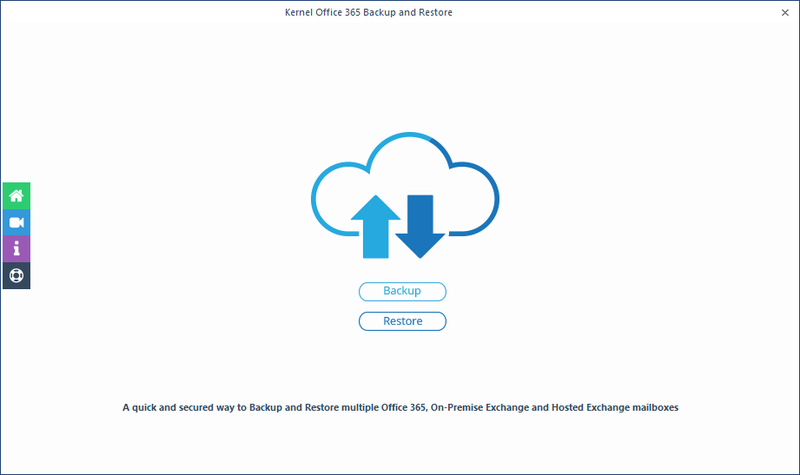 Kernel Office 365 Backup & Restore is a professional tool to backup single as well as multiple Office 365 mailboxes to PST files. 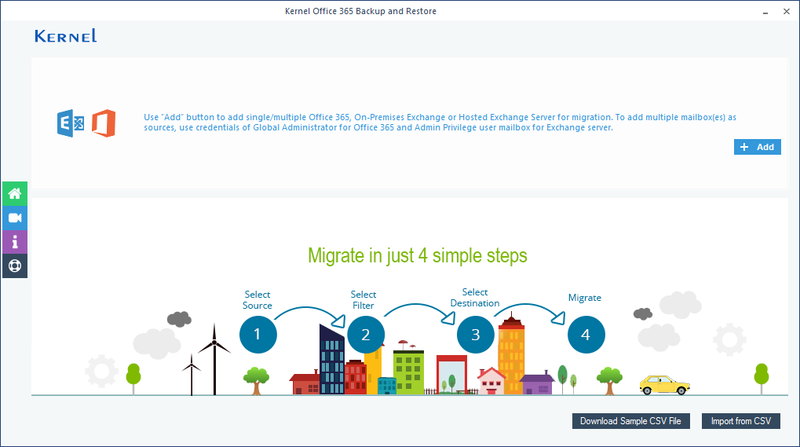 Both end users and Office 365 administrators use this Office 365 Backup & Restore tool to backup mailboxes completely or selectively. Back up single and multiple mailboxes into PST files. Add multiple mailboxes for backup using a CSV file. 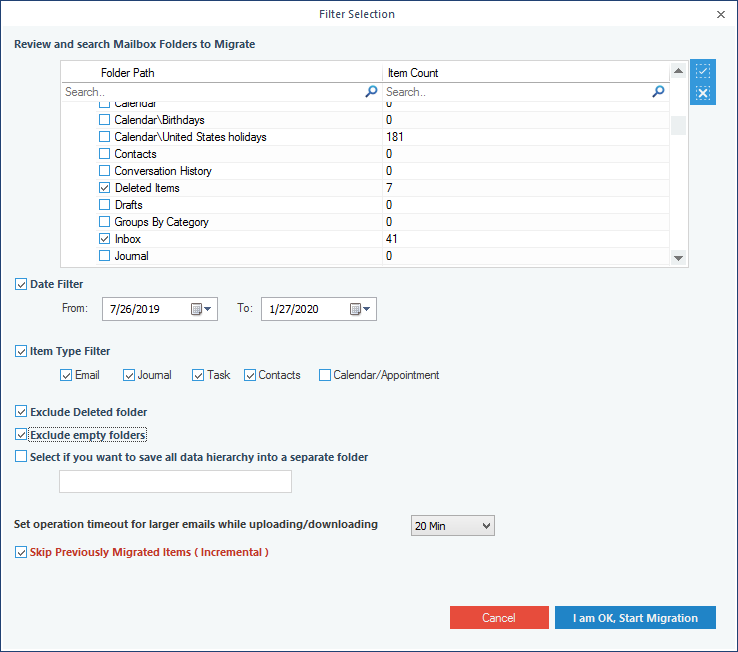 Apply filters to do a selective backup of Office 365 mailbox data. Option to exclude empty & deleted folder from the backup. Save the backup summary report in CSV file for reference. Suitable for end users and Office 365 administrators. Let’s know this tool a bit better by its working process. After launching the tool on your computer, select Backup option from the home screen. After that, click the Add button to add the Office 365 account. Enter the Office 365 account details that you want to backup. Select List all mailboxes, and then click Get User Mailbox(es) to display all the mailboxes of Office 365 account. Select specific mailboxes for backup and click Add. In the next step, verify whether all the mailboxes are listed or not, and click Set Filter and Migrate. 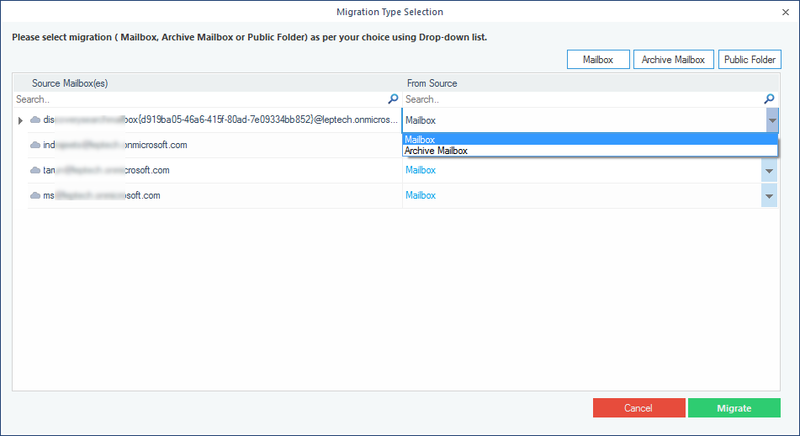 Select the migration type for each mailbox from the Migration Type Selection window and click Migrate. Apply filters to the mailboxes according to your requirements like item type, date, include/exclude folders, etc. and click I am Ok Start Migration. Select the desired location to save the backup file and click OK. The tool will start to backup Office 365 accounts to PST, you can view the process on the screen. Once it is complete, a notification will appear on the screen confirming the same. Click Ok to finish the process. 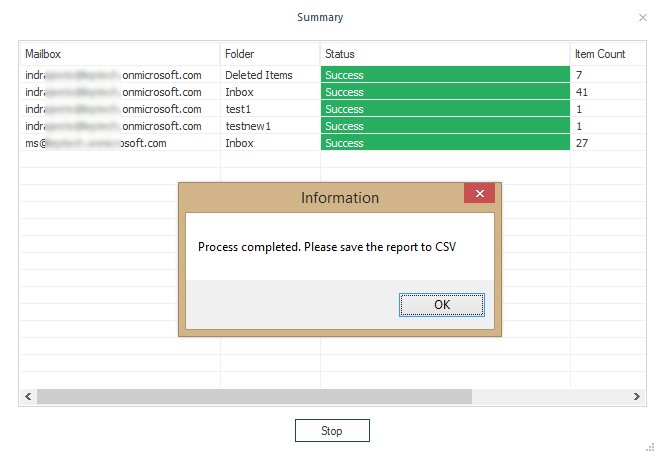 Note: If you want to save the backup report to CSV, then click Save report to CSV.